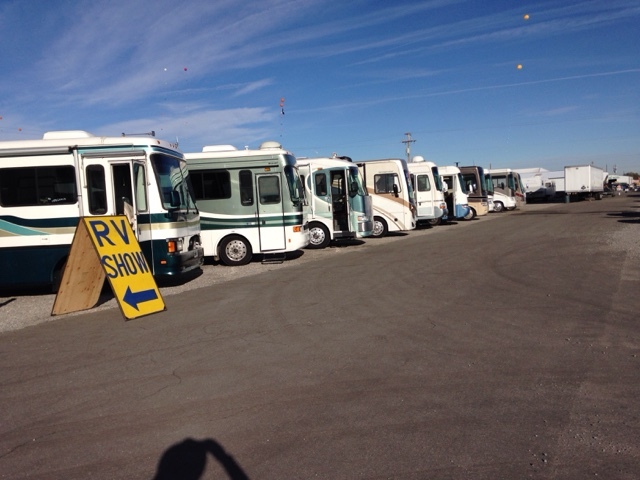 Quartzsite at this time of year is a Mecca for RV's. 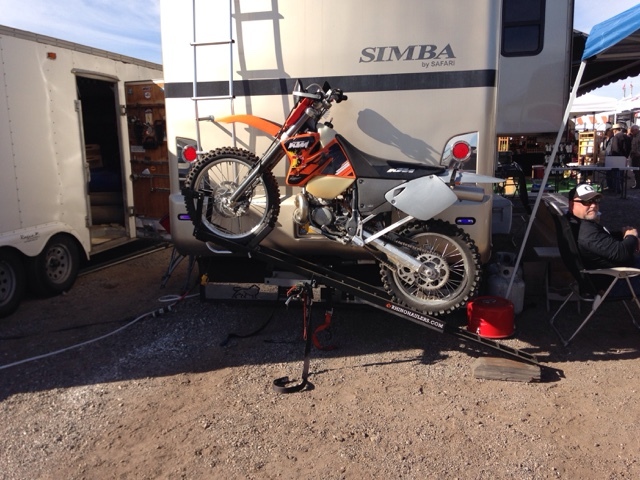 At the RTR we have many Campervans, trailers, cars, and just a few large vehicles like a Class A, but this is not the not the norm in Quartzsite. With a drive around Quartzsite it is my personal assessment that there are more Class A motorshomes than any other type of RV. As in the picture above the RV sales are focused on Class A with some 5th wheelers, a few Class C's and a random Class B. 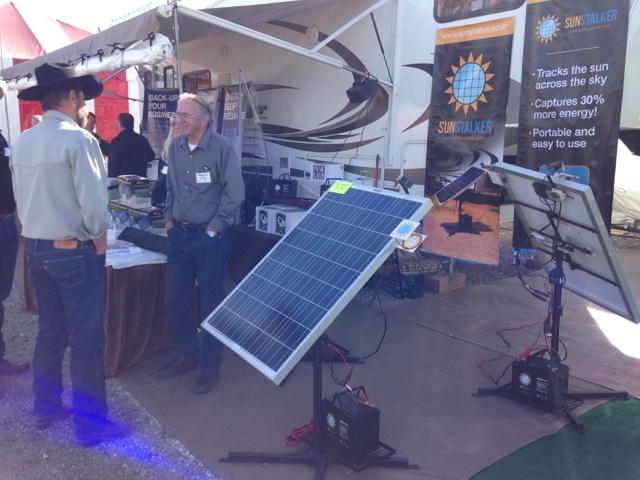 In Arazona solar is something that is popular on many recreational vehicles to charge batteries for living off grid on BLM land. Of course some RVers bring their toys. Here you bring your off road motorcycle with you for touring BLM lands. It is also common to see Class A's hauling ATV's. 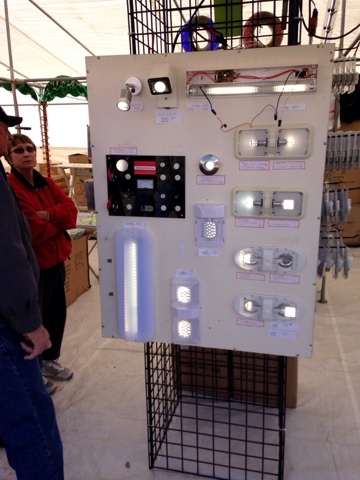 There were a number of vendors selling LED lights for upgrading lighting fixtures in RV's. 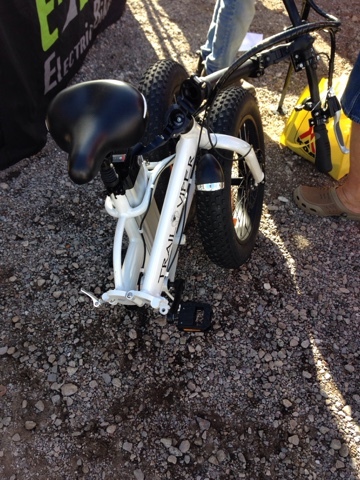 If your trailer hitch is pulling a trailer with your ATV's it may be good to have a collapsing electric bicycle like this one. 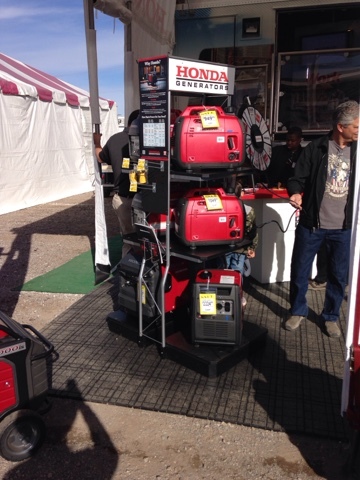 Even with onboard vehicle generators these popular quiet Honda generators are often seem at campsites. 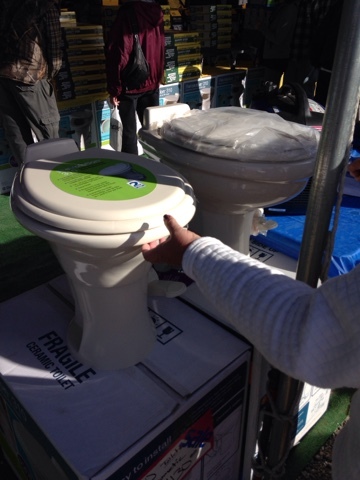 RV toilet sales. They make a special point that they are porcelain. 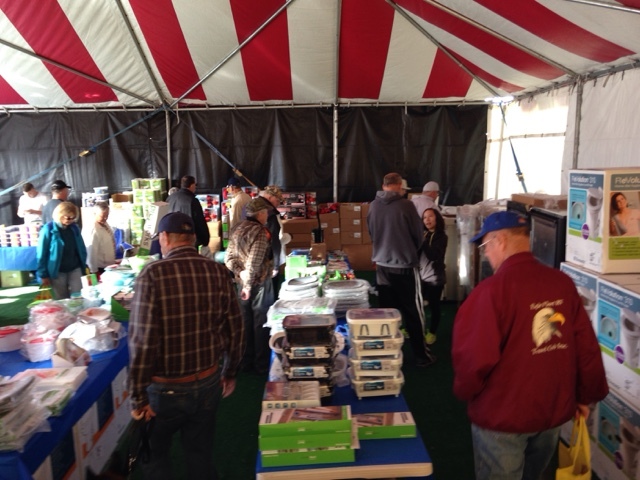 There are RV gadget tents and many gadgets to solve all your problems. And when you have a clog in your black water tank or you just need a good cleaning in the waste tank area there is the R.V. 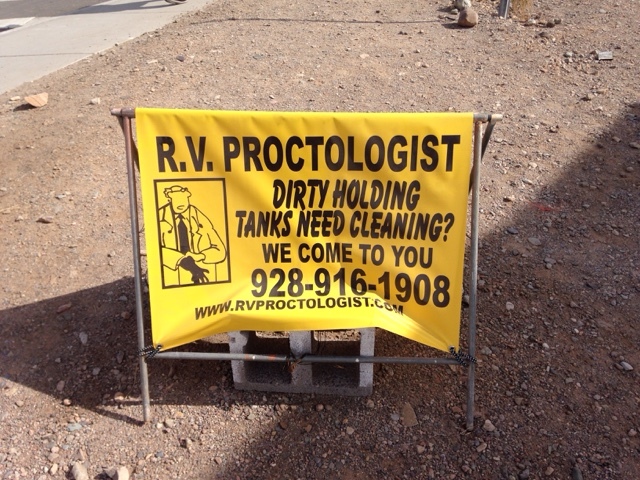 Proctologist ready to assist you with the dirty job.